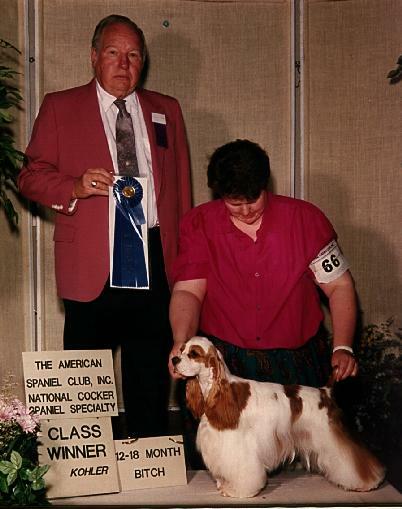 Hope was my first Champion and my first National Cocker Speciality class winner. She is out of Ch. Flair-Rill Fire Blaze and Ch Homestead's Waltzing Matilda. Many thanks to Deb Podratz (Tri-Pod Cockers). Deb is not only a wonderful mentor, she is also my best friend!